Runny Nose? We Got Something for You! 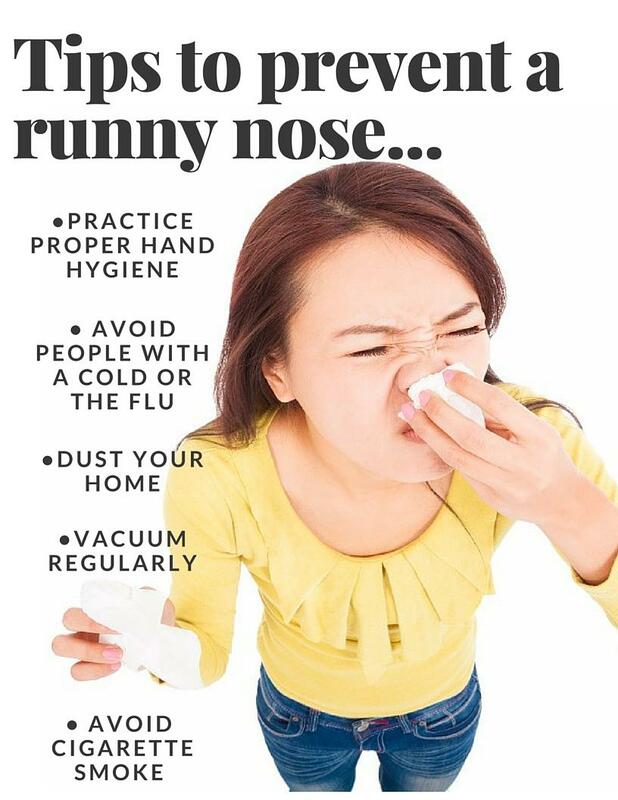 Home » General Health » What Causes a Runny Nose? What causes a runny nose? Simply put, a runny nose is an excess production of mucus, typically caused by allergies or a cold. The glands in the lining of the nose, throat, airways, stomach, and intestinal tract create up to about one to two quarts of mucus, which may seem like quite a bit, but over the course of a day it isn’t really that much. Mucus is a thick, wet substance that moistens the throat and nasal passage. It also acts as a trap for bacteria and viruses before they make their way into your body and potentially cause an infection. That’s why blowing your nose is a good thing, because it helps remove bacteria and germs from the passageways before they progress any further. Mucus is usually clear when you’re healthy and colored when you’re sick or have an infection. There are quite a few reasons for getting a runny nose, though once you’ve got one, you may not really care why it’s happening, you just want it to stop. Sometimes when it’s really bad it can literally leak out of your nose like a leaky faucet, which is just not conducive to the normal routine of daily life. 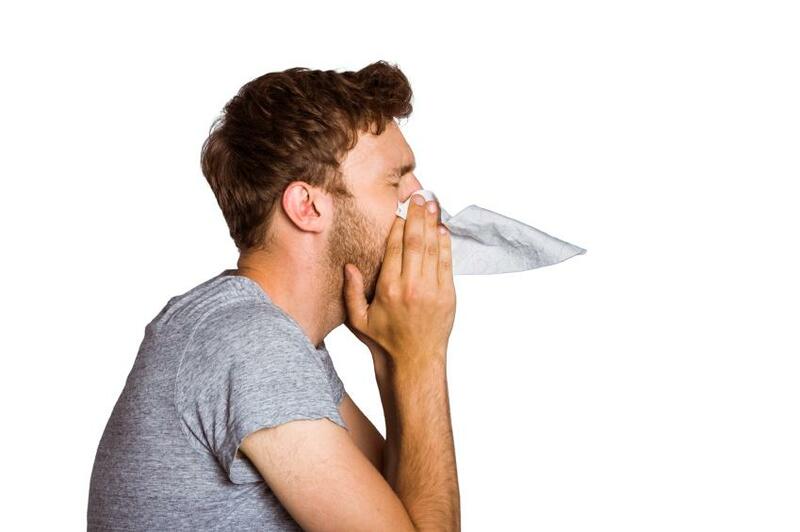 Below are some of the more common questions asked regarding what causes a constant runny nose. 1. 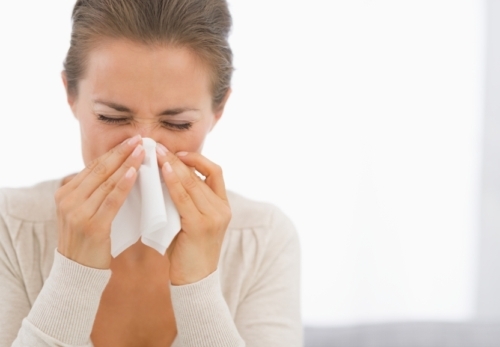 What Causes a Runny Nose During a Cold? The cause of a runny nose when you have a cold is a virus that lodges itself inside makes its way to the membranes of the nose. It multiplies and creates an inflammation reaction, which in turn produces excessive mucus in the nose and chest. Your body sends white blood cells to destroy the virus, and this cellular skirmish results in a runny nose. Just keep blowing your nose to remove it all. 2. 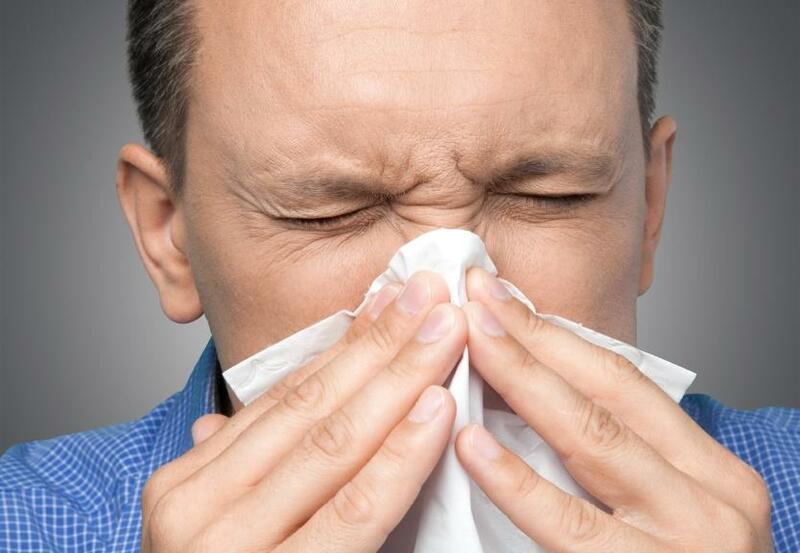 What Causes a Runny Nose and Sneezing? This is typically the sign of a cold or flu. It needs to run its course, so the usual remedies of plenty of rest and fluids apply, but also keep blowing into a tissue to remove the germs from your body. 3. What Causes a Runny Nose All the Time? Though it isn’t exactly known why, the first step is to remove allergens and irritants from your home by cleaning and dusting thoroughly. Avoid environmental pollutants such as smoke and harsh chemical cleaning products. If the issue does not clear up within a month, talk to your doctor. 4. What Causes a Runny Nose and Sore Throat? This is usually a result of a virus from a cold or flu. A runny nose doesn’t always flow out of the nostrils; it can also flow into the back of the throat (post-nasal drip), which often results in sore throats. It will pass once the illness resolves, typically within seven days. 5. What Causes a Runny Nose When Eating? Quite often, getting a runny nose while eating is the result of eating spicy or hot food; the medical term for it is gustatory rhinitis. It’s unclear why this happens, but it’s nothing to worry about. This is more an issue with young children, as they are curious and like to shove things in their mouths and noses. If you can’t remove the object yourself, seek medical attention right away. Cigarettes, cigars, dust, and pollution can all cause a runny nose, some more than others depending on the person. Where possible, avoid these irritants and use a neti pot to add moisture back to nasal passages and clear away the pollutants. This one can be frustrating, because there is no known cause for it. It simply happens to some people for no reason. Before you get officially diagnosed with this, you will likely go through a battery of allergy tests to make sure that some other irritant isn’t causing the problem. Ever been outside in the cold and almost instantly come down with a runny nose? It’s a bother, sure, but what’s happening is that the nasal passages become irritated by the cold and dry weather, so your nose responds by producing more fluid to keep the passages moist. If you know you are allergic to pets, avoid being around animals that will trigger your allergy. Stay away from cigarette smoke and other environmental pollutants. Dust your home at least once a week. Clean curtains and blinds regularly, as they trap dust and dirt and other allergens. There is a continuous clear discharge after a head injury. Is Stress the Root Cause of Your Cold-Like Symptoms? “Runny Nose,” Mayo Clinic web site; http://www.mayoclinic.org/symptoms/runny-nose/basics/definition/sym-20050640, last accessed April 21, 2016. “Why does my nose run when I eat?” Web MD Answers web site; http://answers.webmd.com/answers/1200377/why-does-my-nose-run-when-i-eat, last accessed April 21, 2016.